Can the promotion of unchallenged lies and distortions ever be part of “a legitimate debate"? 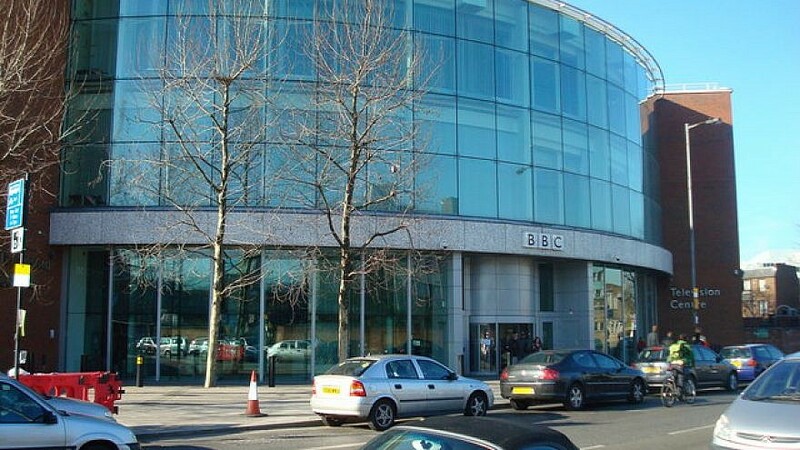 BBC Studios. Photo: ©Stacey Harris. Readers can judge for themselves to what extent the “people’s understanding” was enhanced by statements made by some of the participants in the April 13 edition of the Dateline London program (aired on the BBC News channel and the BBC World News channel) during a discussion about the outcome of the general election in Israel. U.S. President Donald Trump worked as Israeli Prime Minister Benjamin Netanyahu’s campaign director—obviously not true. Netanyahu is “creating an apartheid state” and “establishing” an “apartheid state in Israel”—all Israeli citizens enjoy equal rights. Israel’s Basic Law: Israel–the Nation State of the Jewish People states that “anybody who is non-Jewish, he wouldn’t have a place in this state”—the Nation-State law says nothing of the sort. Netanyahu “said Israel is a state of the Jews. Non-Jews, they are not actually citizens of this state”— false. Netanyahu is “going to annex the West Bank”—Netanyahu did not say that. He did say (days before the election) that he was considering extending Israeli law to Israeli communities in Judea and Samaria. Israel has “300 nuclear warheads”—pure speculation. Israel has the “fourth biggest army on earth”—the fourth largest army belongs to North Korea. Israel is in 29th place. Palestinians don’t have the support of the international community—it is of course enough to look at the UN’s record on Israel to refute that claim. Netanyahu is “re-stabilizing, re-creating, re-encouraging radicalism in the Arab world.” Atwan mentioned Algeria, Sudan and Yemen before making that claim. None of the uprisings in those countries have anything to do with Israel. Italian filmmaker and journalist Annalisa Piras claimed that Israel has a “prime minister who’s going to be indicted in the next few months”—no: Netanyahu may be indicted in the next few months, but that decision has not yet been made because it depends on hearings that have yet to take place. The Oslo peace accord “would create a two-state solution”—the Oslo Accords in fact do not mention the two-state solution.